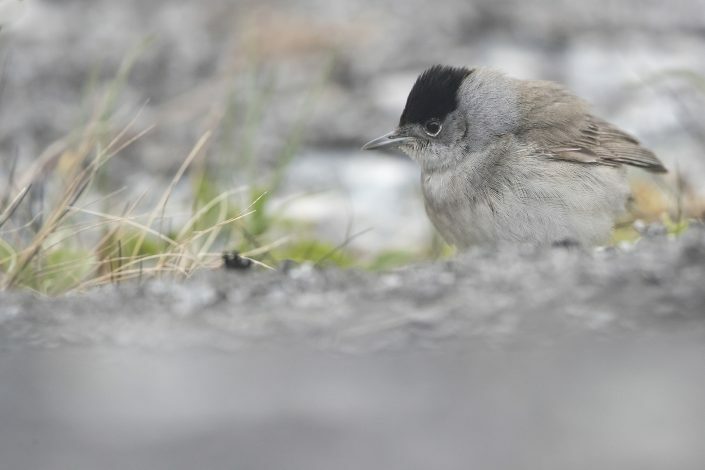 usually known simply as the blackcap, is a common and widespread typical warbler. 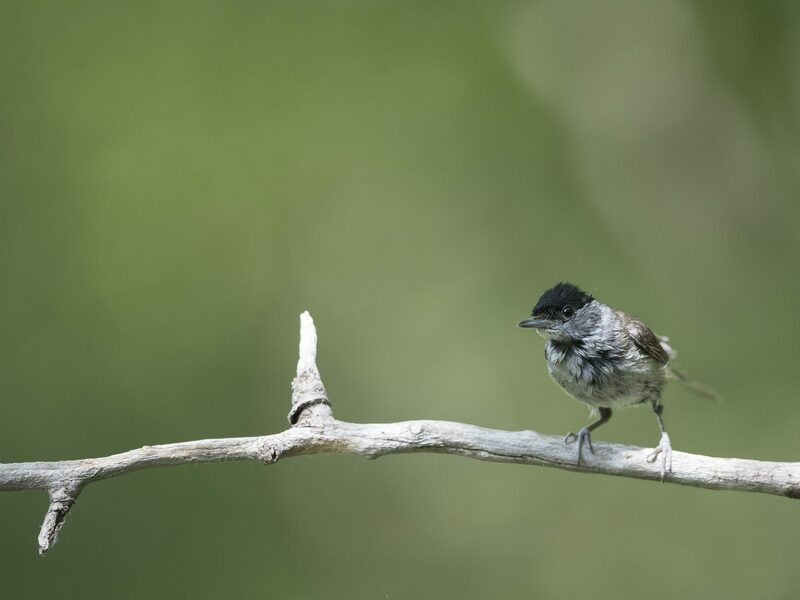 It has mainly olive-grey upperparts and pale grey underparts, and differences between the five subspecies are small. Both sexes have a neat coloured cap to the head, black in the male and reddish-brown in the female. The male’s typical song is a rich musical warbling, often ending in a loud high-pitched crescendo, but a simpler song is given in some isolated areas, such as valleys in the Alps. 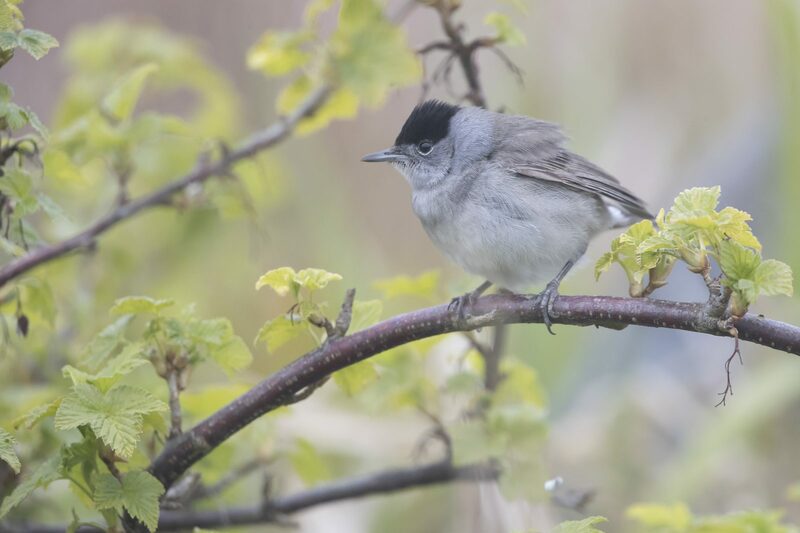 The blackcap’s closest relative is the garden warbler, which looks quite different but has a similar song. 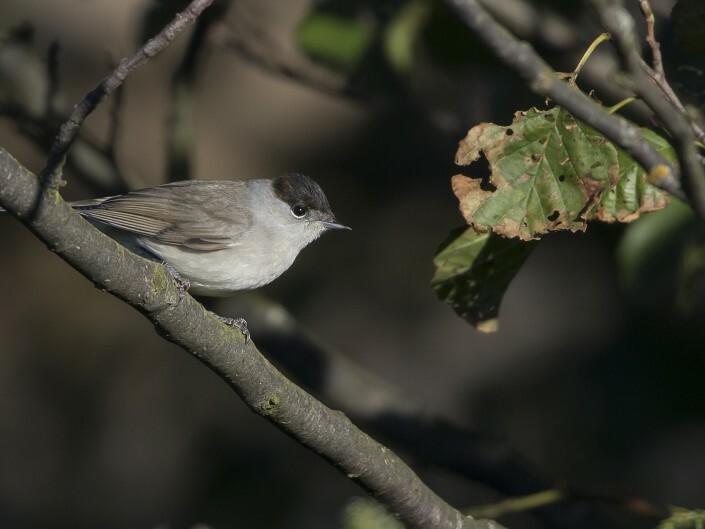 The blackcap breeds in much of Europe, western Asia and northwestern Africa, and its preferred habitat is mature deciduous woodland. 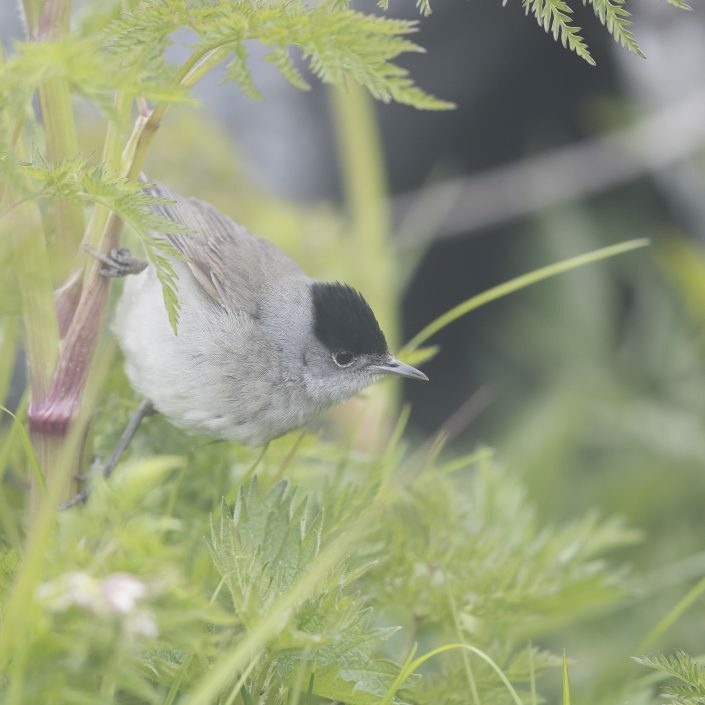 The male holds a territory when breeding, which is defended against garden warblers as well as other blackcaps. The nest is a neat cup, built low in brambles or scrub, and the clutch is typically 4–6 mainly buff eggs, which hatch in about 11 days. The chicks fledge in 11–12 days, but are cared for by both adults for some time after leaving the nest. The blackcap is a partial migrant; birds from the colder areas of its range winter in scrub or trees in northwestern Europe, around the Mediterranean and in tropical Africa. Some German birds have adapted to spending the winter in gardens in Great Britain and Ireland. Insects are the main food in the breeding season, but, for the rest of the year, blackcaps survive primarily on small fruit. Garden birds also eat bread, fat and peanuts in winter.